Given the current explosion of interest in Orthodoxy in countries of the former Soviet Union, it seems that countries like Russia and Ukraine are struggling in their efforts to keep up with the pace of growth. The Russian Orthodox Church is the main and semi-official religion of the Russian Federation. The religions of Islam, the Jewish faith and Buddhism also share a special status within the Russian Constitution and along with the Russian Orthodox Church. 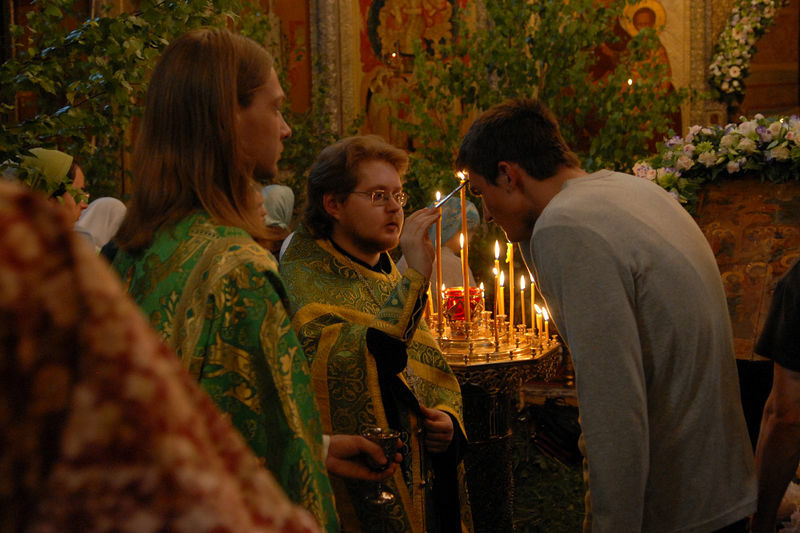 Orthodox Christianity (Russian: Православие Pravoslavije), is Russia’s traditional and largest religion, deemed part of Russia‘s “historical heritage” constitutionally. Government support is not the reason, however, why churches are full on Sundays and holy days. That is because Orthodoxy is rebounding as a very strong influence in Russian life today. Russia has celebrated the Christian faith as expressed in Eastern Orthodoxy for over a thousand years and it is deeply ingrained in Russian culture and in the hearts of many believers. In 2008 the government released findings that approximately 67% of the population call themselves as Orthodox believers. The under 30 population is swelling in what some call a “revival” of faith. Countries like Belarus, Georgia, Ukraine, Bulgaria and Moldova are reporting similar growth in interest in the Orthodox faith. Churches are packed and sometimes lines form with parishioners waiting patiently outside for someone to leave so they can enter. In Russia this has caused the government to work with the church to speed up the process of rehabilitating churches which were seized for other purposes by the Soviet government after the 1917 revolution. At Easter the dining rooms at the Kremlin (presidential administration) and the Russian White House (parlimentary administration) change the diet served for both major Lenten fasts each year for 40 days prior to Easter and Christmas. Public school cafeterias also observe the Easter Lenten and Christmas fasts in which no meat and no dairy products are consumed. Even major supermarkets and little street markets stock items reflected in the annual fasting and feasting cycles. Very often when the church declares a holy day, the government responds in kind. In the whole of Russia generally Orthodoxy is the only religion which enjoys this status however in the Jewish, Muslim and Hindu republics local authorities are free to follow special holy days on the calendar but must also respect the rights of local Orthodox population. Government services are offered the Russian Orthodox Church including security protection by the Russian FSB. The Russian government also provides funding to the church for rebuilding old churches which were destroyed during the Soviet period. 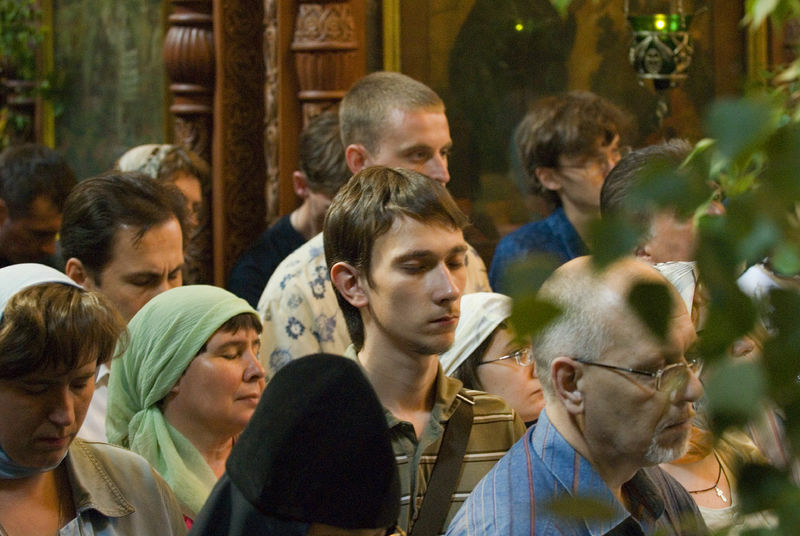 The demographic of Orthodox believers is growing rapidly in the under 40 age group. Orthodox leaders are excited about the return to the faith of the young generation. Often churches are filled each Sunday. The younger generation is rediscovering the Orthodox faith. This is wonderful! I am an American, a recent convert to Orthodoxy and I study Russian history closely as part of my undergraduate major. I am now in Scotland on exchange, and am planning a May trip to Russia with several friends after Pascha! 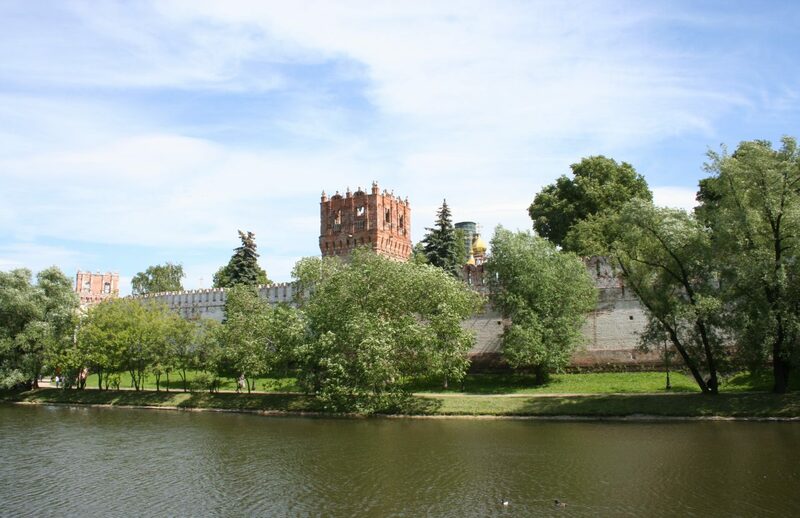 My godmother, herself a convert as well, just recommended that I visit the Stretensky Monastery, so it is amusing and fitting to see the images from Liturgy at the Monastery in your article. I am not sure if you are Orthodox, but all the same, I hope you have a wonderful Pascha! Would love to learn all about this church.